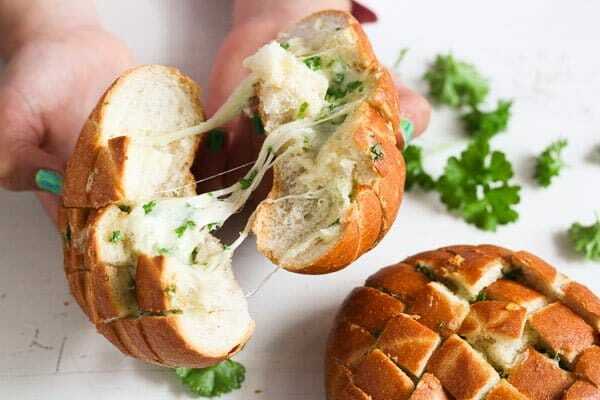 Cheesy pull-apart bread rolls stuffed with mozzarella, garlic and herbs. A delicious side dish for any barbecue or a light main course with a salad on the side. So goood! 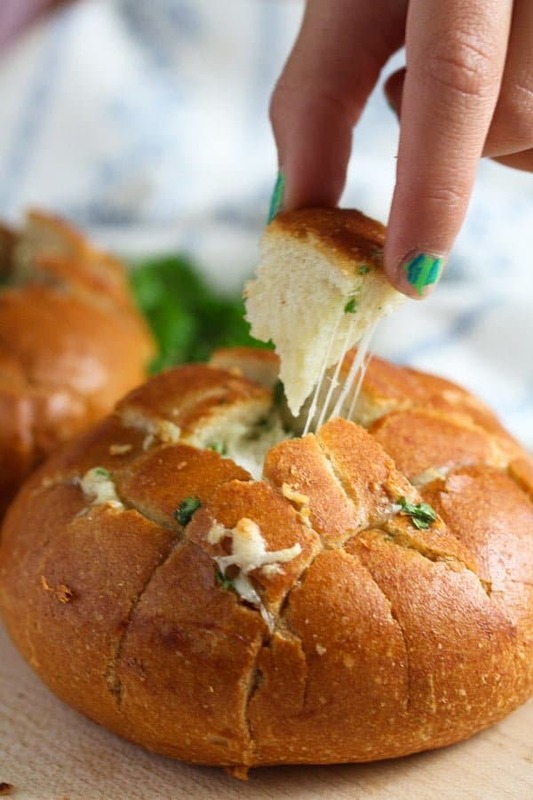 These Mozzarella and Garlic Pull-Apart Bread Rolls are really addictive! We liked them so much, that I have managed to make them four times in a relatively short period of time, sometimes just like that, without any barbecue or anything. I just stuffed and baked the bread rolls, made a green salad and we couldn’t have been more satisfied. 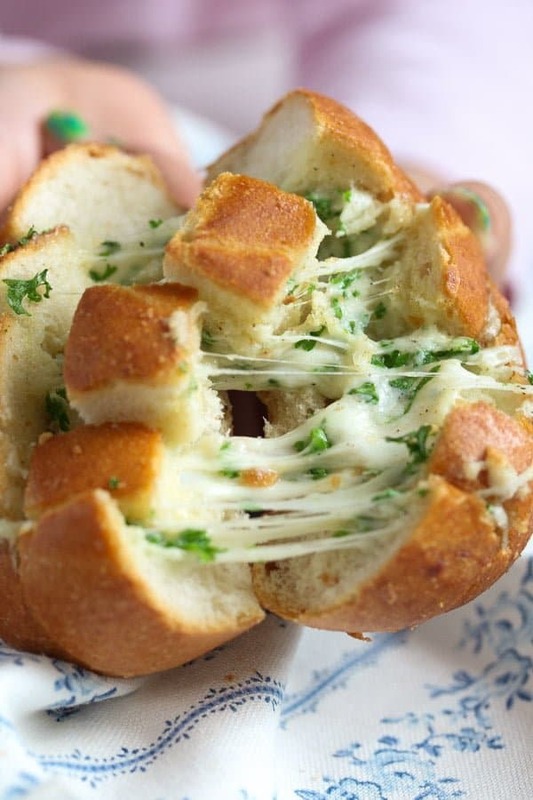 Especially my daughter, she goes crazy for these cheesy bread rolls. Any kid actually, this is a really children party food, if you ask me. 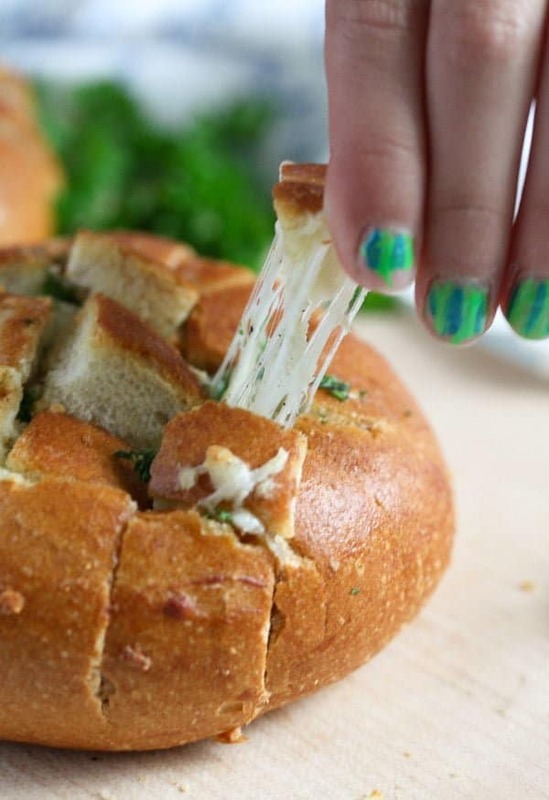 Maybe I should make them for one of my kids’ birthdays this summer (they are both born in August), I am sure that the Mozzarella and Garlic Pull-Apart Bread Rolls would make every child happy. We do like our stuffed breads, crusty things full of herbs and garlic, like this Homemade Fresh Garlic Baguette or this Pizza Pull-Apart Bread. And I’ve made sweet pull-apart breads even more often, for instance our favorite Plum and Cinnamon Pull-Apart Bread or the Apple Cinnamon Pull-Apart Bread with Brown Sugar. But it was the first time it had occurred to me to make pull-apart bread using bread rolls. And they are really fun to make and I find it good that they come in smaller portions. Not to mention that I find it a bit easier to calculate how many of them I need to make than when making a pull-apart bread. When making the bread I never know exactly how much the people would eat, especially when we have a party or something like that and I often end up making too much. But with the rolls, I find it easier. When eating them with the family as a side dish, the six bread rolls indicated in this recipe are enough. Each one of us gets a whole one and we can split the remaining two, if we are still hungry. Two rolls per person are too much, in my opinion, the German bread rolls are rather large. When having a party I calculate one per person + 3-4 extras. Well, these cheesy and garlicky bread rolls are really not a big deal to make. Start by choosing the right kind of bread. I live in Germany and for this recipe I use our plainest Brötchen – rolls, which you can buy just about anywhere. As I have seen many American rolls recipes that are quite different from our rolls, I feel I have to point out that the rolls needed for this recipe are not the soft American dinner rolls made with butter and a little sugar. 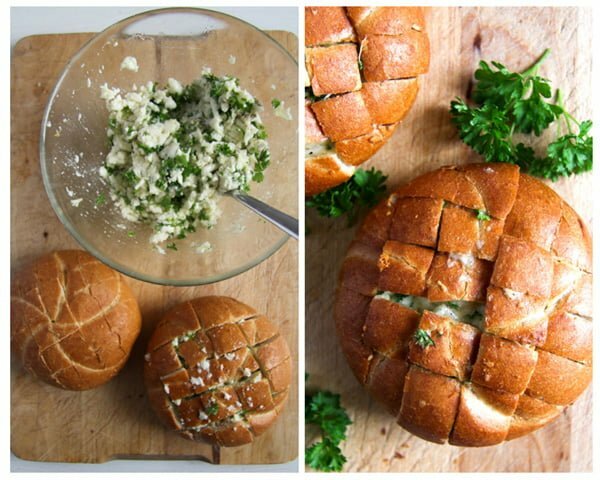 They are sooo delicious, but they are not what you need for these Mozzarella and Garlic Pull-Apart Bread Rolls. What you need are crusty, white bread rolls, made with only flour, yeast, water and salt. If you can find some sourdough ones, I can imagine how delicious those would be as well. In any case, crusty and plain bread rolls, nothing too soft or fancy. This recipe is also great for using leftover rolls, if you happen to have them, the rolls do not necessarily have to be totally fresh. They will be baked again anyway and, in my experience, cutting the diamond shapes in the rolls is easier when the rolls are not extremely fresh. When you cut the diamond shapes in the rolls, make sure you don’t cut all the way through the bread. Give 2 tablespoons of the olive oil in a small bowl and brush between the cuts as well as you can. Grate the mozzarella through the rough grater. Grate the garlic as well, but on the fine grater. Chop the parsley very finely and mix everything together with some salt and pepper. You could use a teaspoon to fill the cuts in the bread rolls with the filling. Or you can make things easier and just use your fingers. Make sure that you divide the mixture equally between the six rolls. I feel it helps if I roughly divide the mixture into six parts before I start filling the bread. I bake the rolls for about 10 minutes, loosely wrapped in aluminum foil, this way they will not get too brown before they have a chance to really heat through. When wrapping them in foil make sure that the aluminum foil is really loose on top, it should not be open, but the foil should not touch the top of the bread rolls, otherwise the cheese will stick to the foil. I remove the foil after 10 minutes and continue baking the Mozzarella and Garlic Pull-Apart Bread Rolls for further 5 minutes until the cheese has melted and the bread rolls are really golden. Serve the bread rolls immediately with some green salad with yogurt dressing or this broccoli salad with peas and parsley. The Mozzarella and Garlic Pull-Apart Bread Rolls make also a great side dish for grilled meats or vegetables. Preheat the oven to 200 degrees Celsius/ 400 degrees Fahrenheit. Cut 6 pieces of aluminum foil large enough for you to be able to loosely pack the bread rolls in the foil. Cut diamond shapes into the bread rolls, but do not cut them all the way through. Give 2 tablespoons of the olive oil to a small bowl and lightly brush between the cuts in the rolls. They don't have to be soaked in oil, just a few fine strokes between the cuts should be enough. 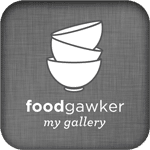 Grate the mozzarella on the rough grater and give it to a bowl. Grate the garlic cloves through a fine grater and gave them to the bowl as well. Chop the fresh parsley finely. Add them to the cheese bowl together with the remaining 4 tablespoons olive oil and salt and pepper to taste. Mix well. Divide the mixture into 6 heaps, I feel that helps when deciding how much filling comes into each bread roll. Stuff the rolls with the help of a teaspoon or with your fingers. Wrap each bread roll in a piece of aluminum foil. Make sure that the rolls are only loosely wrapped, meaning that the foil doesn't touch the top of the rolls where the cheese is. Otherwise the melting cheese will stick to the foil. 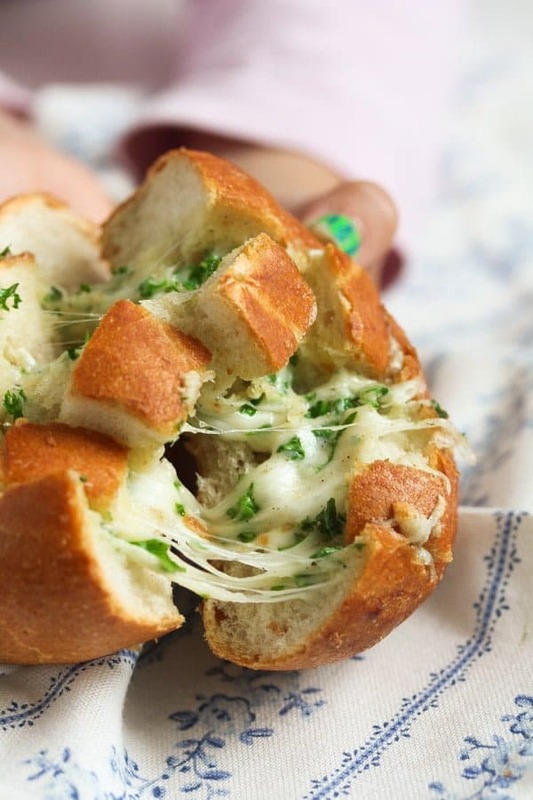 Bake the cheese bread rolls for 10 minutes. Remove the foil from the rolls and bake them for further 5 minutes or until the cheese is nicely melted and the tops of the rolls are crispy and golden brown. Serve immediately with salad or as a side dish for grilled meats and vegetables. Brötchen – the German bread rolls are plain crusty white bread rolls. They weigh between 60-80 g/ 2-3 oz. 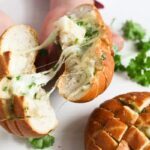 These rolls look so delicious I’m getting seriously hungry and there are still several hours before the dinner time… I love garlic in everything and mozzarella too and I love this idea! They look too yummy! I would probably all of them if I made some. 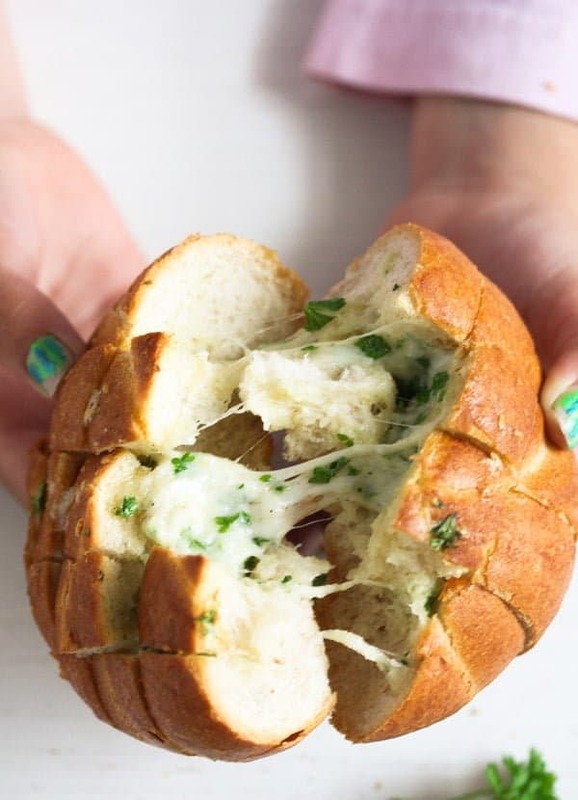 garlic with any bread is my favorite flavor… i love this reicpe..
Look at those stretches of cheese! Love that it’s so easy too!